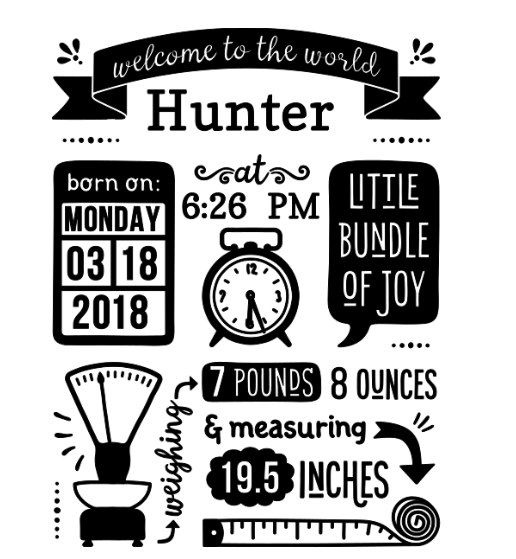 Personalized birth stats indoor vinyl decal. Fantastic addition to the baby's nursery or for a baby shower gift. The tiny clock hands can be moved to the birth time in addition to the other personalization. 8.5' X 11.5'. Put the stats for the baby you are buying this for in the instructions box during check out.